Your life can be like a National Geographic Special if you engage in action-packed activities like mountain biking, black diamond skiing or mountain climbing. Shooting the requisite video yourself, however, can be a challenge when you're preoccupied with not wiping out or falling off a precipice. Now there's an easy solution: Pocket camcorder maker Flip Video has introduced the Action Tripod ($25 ), which features two removable straps that hold its three legs together and let it be attached to, say, a helmet or handlebars. 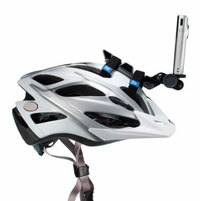 The industry-standard mounting screw works with any camcorder or camera, and the adjustable neck allows you to record from almost any angle and in any direction. 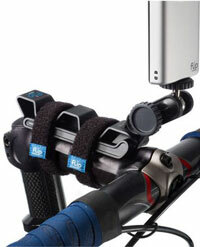 With the straps removed and the legs spread out, it can also be used as a standard tripod.